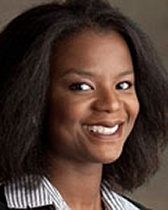 Traci Burch is the author of Trading Democracy for Justice, published by the University of Chicago Press, and is coauthor of Creating a New Racial Order, published by Princeton University Press. Her work has appeared in several peer reviewed journals, including Political Behavior, Law and Society Review, and Criminology and Public Policy. Burch also serves as Research Professor at the American Bar Foundation. Burch, Traci. 2014. “The Effects of Imprisonment and Community Supervision on Political Participation.” Detaining Democracy Special Issue. The Annals of the American Academy of Political and Social Science. Burch, Traci. 2013. Trading Democracy for Justice: Criminal Convictions and the Decline of Neighborhood Political Participation. Chicago: University of Chicago Press. Burch, Traci. 2012. “Did Disfranchisement Laws Help Elect President Bush? New Evidence on the Turnout and Party Registration of Florida’s Ex-Felons.” Political Behavior 34 (1); 1-26. Hochschild, Jennifer L., Vesla Weaver, and Traci Burch. 2012. Creating a New Racial Order. Princeton: Princeton University Press. Burch, Traci. 2011. "Turnout and Party Registration among Criminal Offenders in the 2008 General Election." Law and Society Review 45(3): 699-730. APSA Ralph Bunche Book Award for Trading Democracy for Justice (2014). APSA Urban Politics Section Best Book Award for Trading Democracy for Justice (2014). APSA Law & Courts Section C. Herman Pritchett Award for Best Book in the Field of Law & Courts for Trading Democracy for Justice (2014). APSA E. E. Schattschneider Award for the best doctoral dissertation in the field of American Government (2009).